Today I turn 38. And while I don’t feel any younger or older, I can affirm I feel more alive today than I’ve ever been. I write a lot about the many shoes I wear: wife, mom, runner, and corporate gal. I also enjoy having other women talk about their many shoes and the experiences that have enriched their lives through my Remarkable Women Wednesday Series. (I hope you read and have come to enjoy them.) I know I enjoy knowing the women behind them. I can truly say I love my life. I love all that God has blessed me with. If I died tomorrow, I’d be a fortunate woman. Why? I love that I have a beautiful smart daughter, Ally who makes me (and others) laugh. She continues to stretch me and help me grow as a mother. I love that I’ve found a career where I am making a difference. My current role has given me more learning than I expected and its transforming my thinking and curiosity. I love my friends. They have stood by me through thick and thin and reminded me that life is too short not to buy the shoes! I love that my husband and I, despite our differences in our marriage, manage to make this life work. As I reflect on the past year, it’s had more ups than downs. I grew a lot in my career, finished the Berlin marathon with my best friend, Jeni, lost my “baby weight” (finally) and gave this blog a little makeover. And, I have some exciting changes on the horizon…one being I plan to materialize this “book” or whatever it is I’m going to write into something in 2014. At the annual Ladies Who Never Lunch that I hosted at my home earlier this month, someone brought fortune cookies. 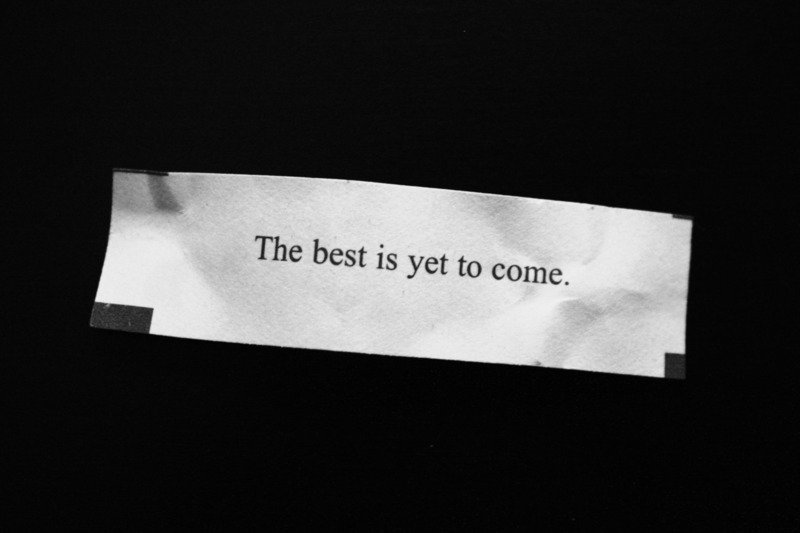 I read my fortune aloud: “The best has yet to come”.